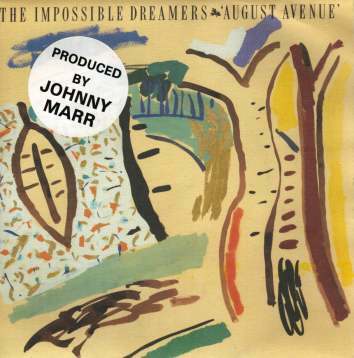 The Imps hit the big time with Johnny Marr, the superb guitarist from The Smiths, producing the August Avenue single. His guitar can be clearly heard in there, and it does have The Smiths' sound in there subsequently. But although it is pleasant on 7", you should hear the 12" version! Longer, clearer, more Marr for your money. I didn't hear the 12" version at the time - only picked it up recently - what have I been missing! The B-side is Caroline on her favoured oboe. 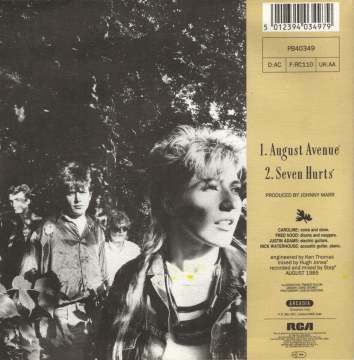 Nice cover, eh, but still haven't quite found my way to August Avenue. Is it like May Bank?